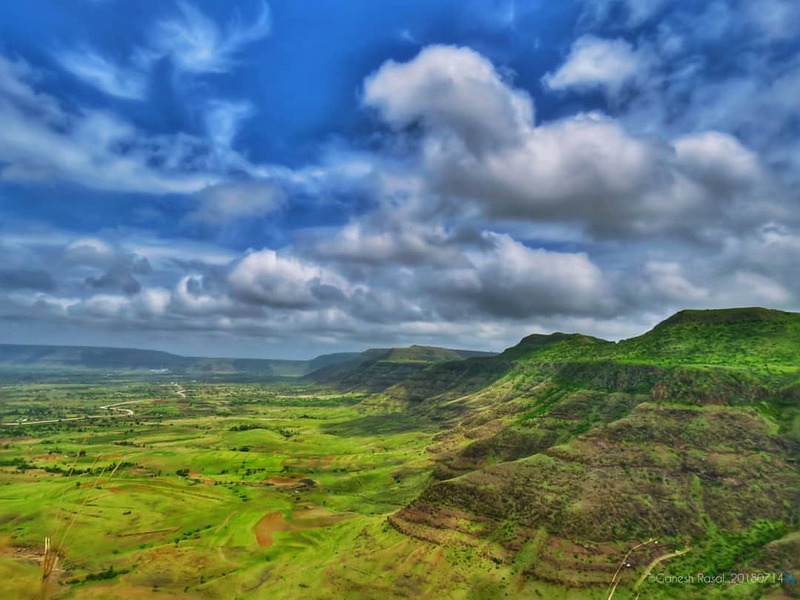 Satara is located at elevation of 2434 feet above sea level. This city was one of the capitals of the Maratha Empire. Satara as a city has contributed significantly as centre of Indian Independence Movement during our colonial past. Located nearby are two rivers Krishna and Venna. Satara city boast of a unique statue of Shivaji standing near a canon at Powai naka. Most of the statues elsewhere depict Shivaji riding on a horse. Similar to the one at Juhu beach in Mumbai. Satara region is a absolute delight for a trekker as it's in the heart of the western Maharashtra. Connecting to main cities and towns like Pune, Solapur, Sangli, Kolhapur, Karad, Baramati. Satara is definitely top trekking destinations in Maharashtra. Forts such as Santoshgad, Mahimangad, Varugad, and Vardhangad on the Monbosa mountain range. Sajjangad and Ajinkyatara on the Bamnoli mountain range. If one continues on this range it will lead to Pratapgad. All the forts in this region are constructed on a different mountain range and the distance between them make it difficult to visit all the forts in a day. Hence one should plan at least a five day trek near Mumbai to Satara. It’s the blessings of our ancestors that are even visible today. As this area largely cultivated by sugarcane farmers and the prosperity is visible by good roads and regular ST bus service. Satara range includes Wai, Satara, and Phaltan. 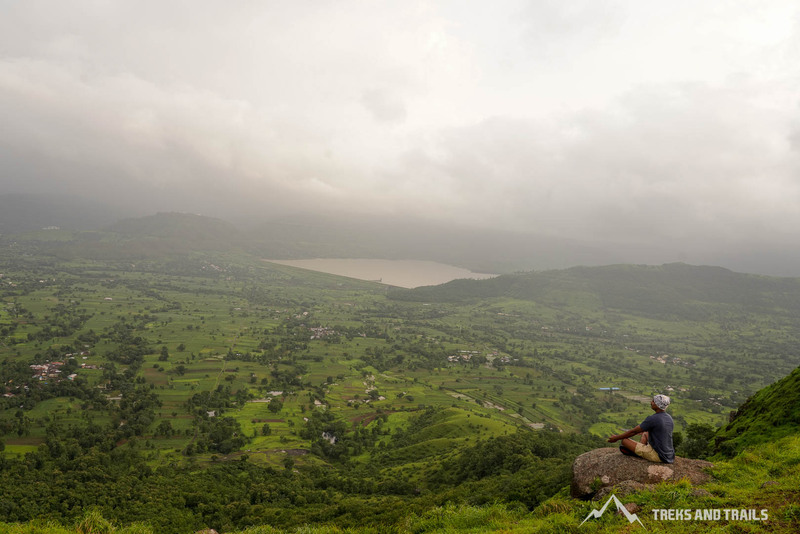 Explore best places to go for trekking tours around Satara. The term Sajjan actually means kind hearted or a gentle. And if the word GAD is added which means fort. The name of the fort actually means fort of kind people. 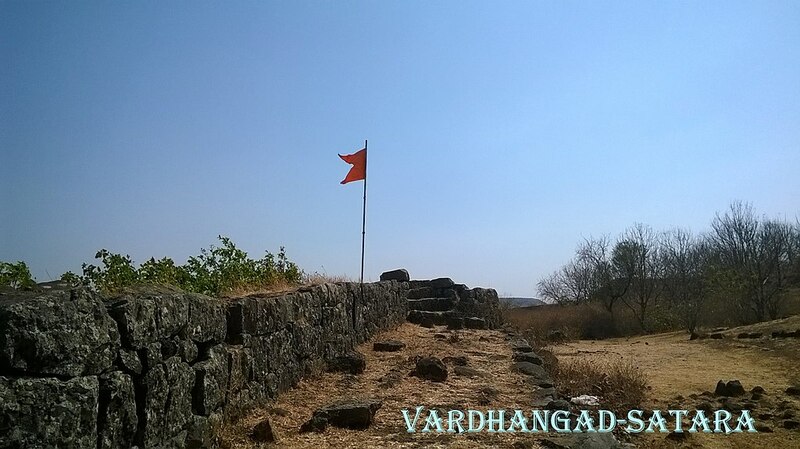 Sajjangad as a fort has a lot of religious importance than historical importance. This fort was known by the name of Asvalayana Rishi, since he lived here for many years long ago. Sajjangad was earlier also known as Aswala gad. Aswala in Marathi means a wild bear. Could be because of wandering bears in ancient time in this area. The fort was made by Bahmani emperors in between 1347 - 1527 and also under the command of Adil Shah and Mughals. 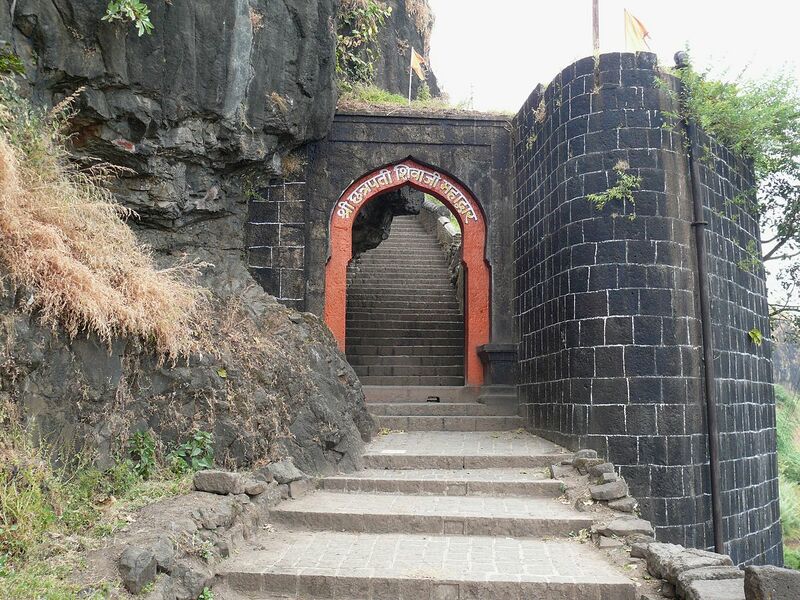 Sajjangad was a name that was bestowed by Shivaji Maharaja and requested Shri Ramdas Swami to set up his monastery. Shri Ramdas Swami has his final resting place here. Sant Ramdas was a social reformer, spiritual poet, and teacher, gifted composer, writer whose teachings are being followed even today in Maharashtra. A 16th century fort located at Ajinkyatara mountain. Which is 3300 feet high. In Marathi means The Impregnable Star. The fort is on one of the seven mountains surrounding the city of Satara in the Sahyadri mountain range of Maharashtra, India. This is the only fort that I have been to that has its name put up in words that size up as billboards. This fort also holds the television tower for the city of Satara. 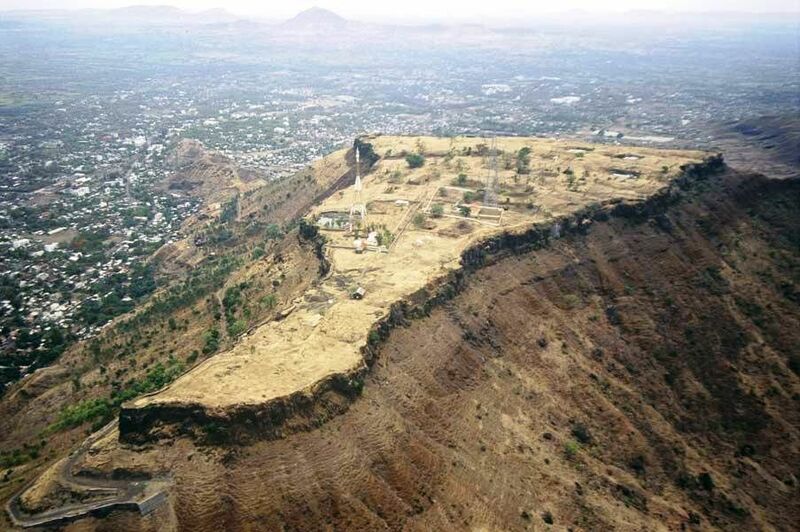 The height of this fort can help you view the surrounding area and also hear the hustle of Satara city below. The trek to Ajinkyatara is a walk on a tar road for around 90 minutes. There are a number of water tanks inside the fort for storing water. Ajinkyatara played a very vital role to keep watch on the entire South Maharashtra region. To get to Pandavgad we need to reach Wai, then take the local buses to Shelarwadi or Kamberwadi. These are the base villages that surround the fort. A good hike about 60 mins and we could reach the fort. At the north entrance we see rock cut steps and as also on top goddess Pandubai is seen. 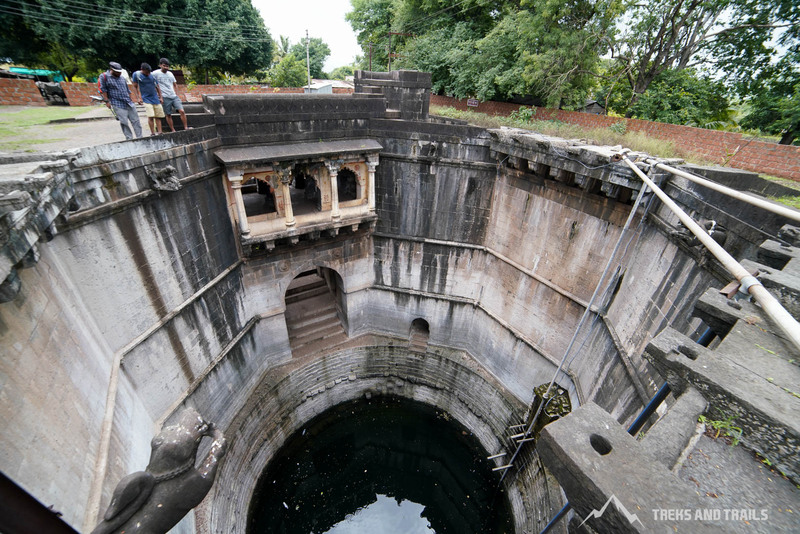 There are a number of water tanks and small ponds on the fort. However, if the latest reports are true a local resident is acquired around 22 acres on the fort and built himself a house. However, the Archaeology Department does not seem to challenge it in any way. The height of Pandavgad is at 4185 feet above sea level. Varugad is situated in Mhasoba range. Tathawada is the base village for this fort. One can also trek from Santoshgad to Tathawada which would be approx 3.5 hours. The other option would be to take the local ST bus. From the base it’s should be around 30 mins climb till the machi. On the fort, we see Bhairavnath temple which can be an ideal shelter for an overnight trip for a 4 - 6 person. Two small water tanks are also seen while exploring the fort. From the machi, it would take approx 60 minutes to reach the balekilla. One would require approx another one hour to explore the fort. The height of Varugad is 2952 feet above sea level. Its recommended that you take a bus from Girvi after spending the night once you have visited Varugad. Just make sure that the bus is via Palthan. As we need to get to Mahimangad junction. In fact, there are buses from Satara also available till here. From Mahimangad bus stop it’s 30 mins approx walk to get to the base village. a regular trekker would cover the distance from the village to fort entrance in about 30 mins. There is not much to see on the fort except broken and ruin fortification walls of the fort, two water cisterns. Please note that there is not source of potable water on this fort and 45 mins should be sufficient in exploring the fort. 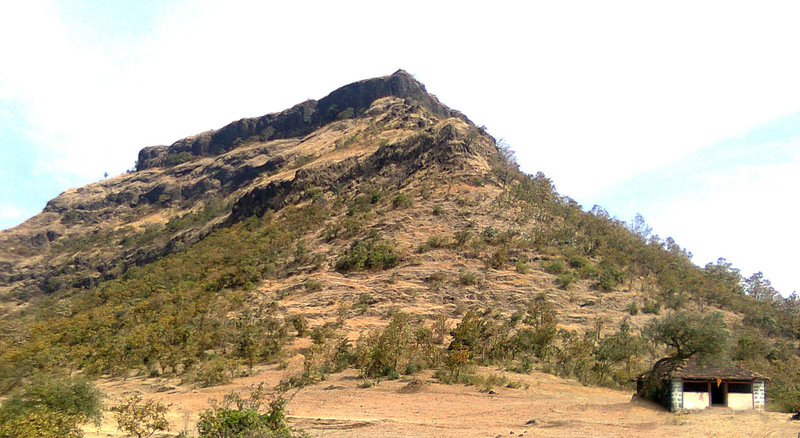 The height of Mahimangad is 3219 feet above sea level. 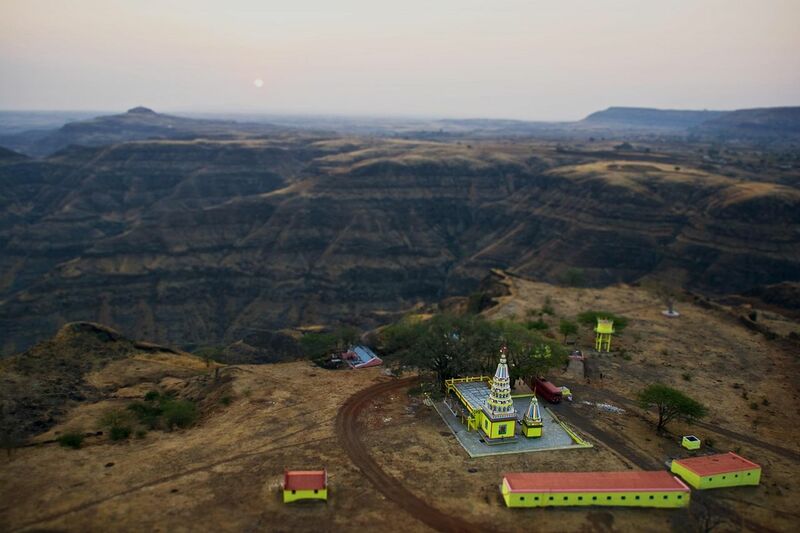 This is located approx 33 km away from Satara city. Local ST Buses do take you till the base village. As we enter two ancient canons welcome us at the village. The approach to the fort is thru the village. We enter thru the North facing the entrance. As we trek we see a couple to temples and rock cut water cristerns. The south east side we can see a secret escape route Chor wat. Like most of the forts, even this is mostly in ruins. To the east we see Mahimangad. Fort exploration should take around 30 mins. For those who want to stay overnight - Vardhangad offers an option for around 15 - 20 person. The height of Vardhangad is 3493 feet above sea level. To get to Kalyangad we have to first travel to Nandgiri which is 3km from Satara city approx. 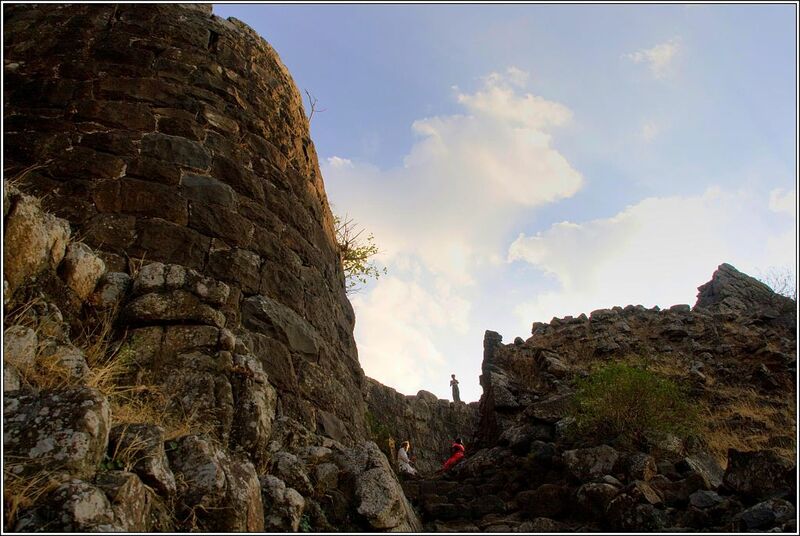 Continue walking to tar road till you reach Dhumalwadi and start climbing the fort from here. On the way approx half way up you will come across a huge cave. During the monsoon season and even after that there seems to be knee deep water filled here. Trekkers are requested to use headlamp or torch if you plan to have a peek inside to explore the Parshwanath idol. Also located is the cave with the idol of Dattatraya. It should take approx 45 mins to climb further up. We come across a huge lake on top and a Ganesh temple. The height of Kalyangad is 3533 feet above sea level. To these visit twin forts we to get to Bhuinj village. Which is approx 22 km from Satara city. We can start our trek by visiting the carved Mahadev temple in kikli village. Then move to Belamachi village which is at the base village for the fort. A 45 mins trek should take you to the col joining both the forts. One can also see a few Persian inscriptions at Vandangad fort entrance. Crumbling fort walls are seen along with a masjid. With seeing two water tanks. Average time taken to explore the fort should be 45 min. Vandangad is 3836 ft above sea level. At Chandangad there is huge banyan tree and a Mahadev temple. Old houses and other ruins are visible at this fort. A couple of water tanks are there. On the opposite base of the fort is the Banavdi dam which stands in Kholwadi village. One can cover both the fort exploration is approx 3 hours. Chandangad is 3841 ft above sea level. Situated 26 km away from Satara in Maharashtra is a beautiful plateau which receives heavy rainfall and gusty winds during monsoon. From September to October every year many wildflowers bloom together forming a carpet of colours. Kaas Plateau has many flowers which are medicinal and unique to this plateau. It is a World Heritage Site sadly there is no restriction on visitors or photographers you can visit the place by paying a nominal charge which is leading to its destruction. 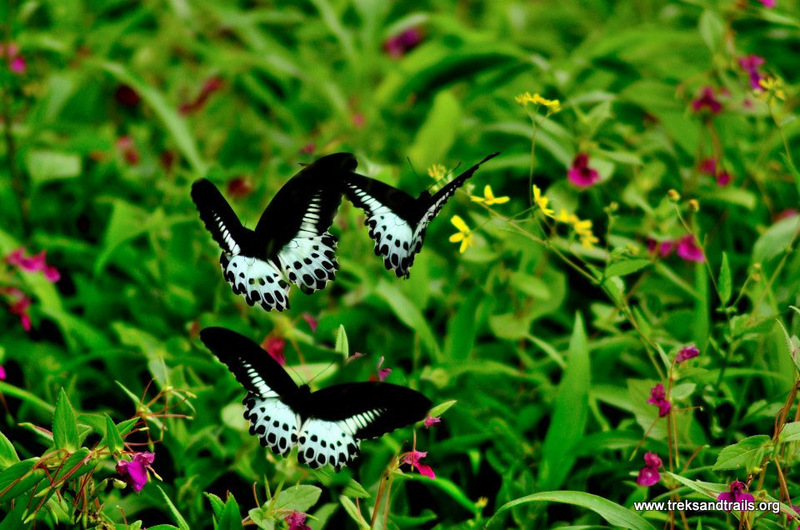 Best time to visit Kaas is during September all the flowers would be blooming and leave you mesmerized. It is frequented by many photographers who are interested in macro and landscape photography opportunities. Satara is known for sweet: Kandi and Pedhe. Food availability: For someplace one can come back to Satara and at some place its advised to take pack lunch/ dinner. Dense vegetation is found around and on the fort. Wild animal spotting is common. Wildflowers will offer you a grade welcome during monsoon. The above information should only be used as a reference. Treks and Trails India suggest please check with experts and locals before embarking on a Satara trek.